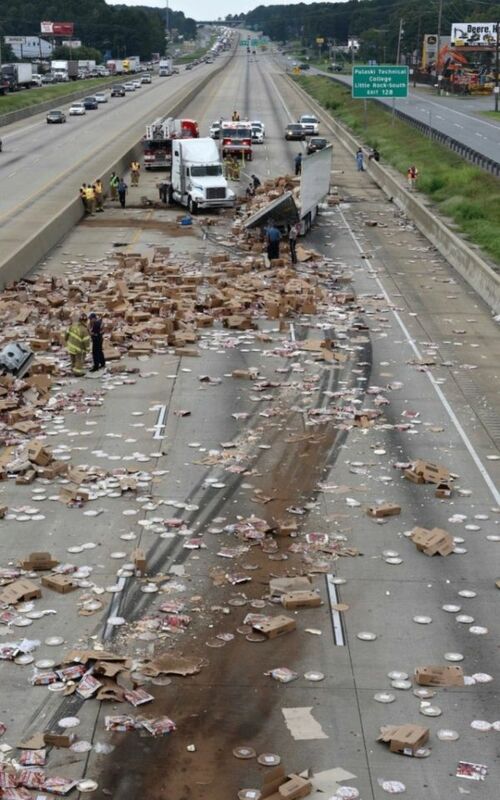 Clean up crews had to spend hours picking up frozen pizzas off interstate 30 when a truck crashed and split open. 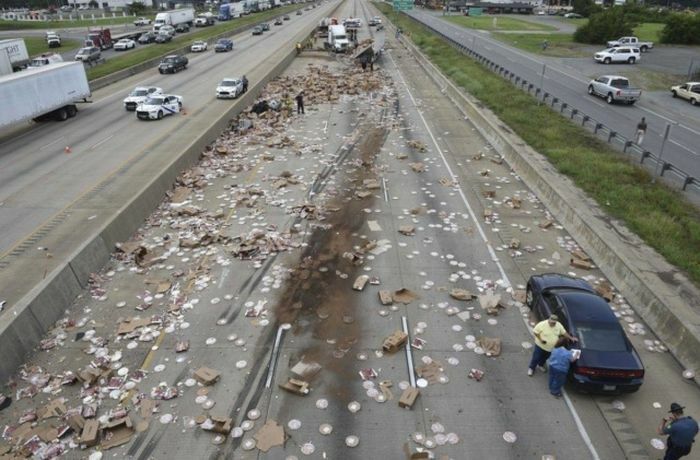 The truck reportedly crashed into an overpass and the highway was shut down for four hours. Highway shut down for hours? Not if this happened in Venezuala!